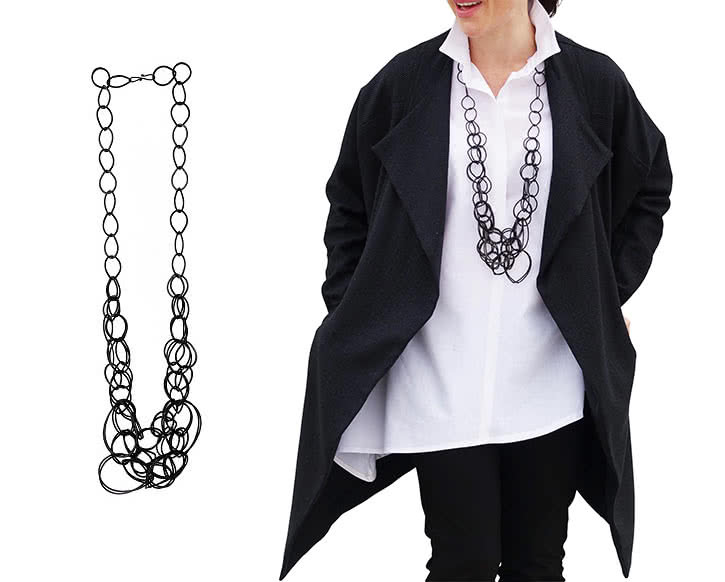 The new Chain Effect Necklace is a geometric dark metal necklace. 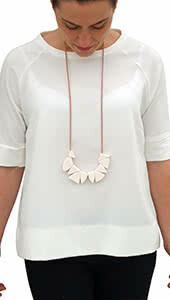 The subtle clasp allows you to adjust the length of this timeless necklace. 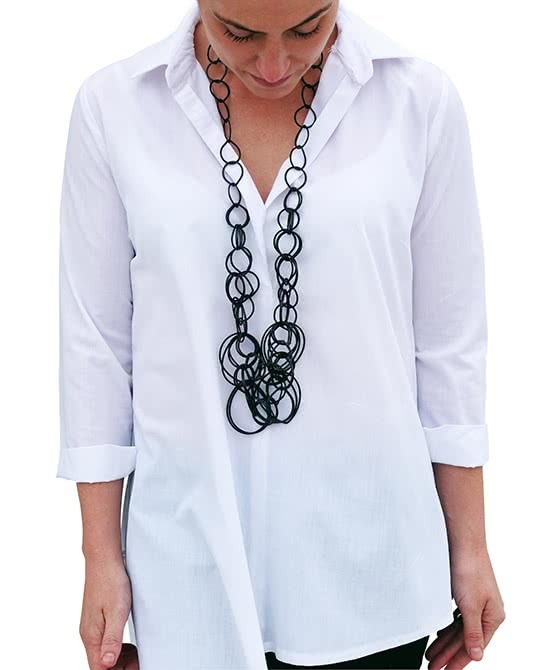 It’s a sophisticated piece, perfect with a tunic top or simple dress.